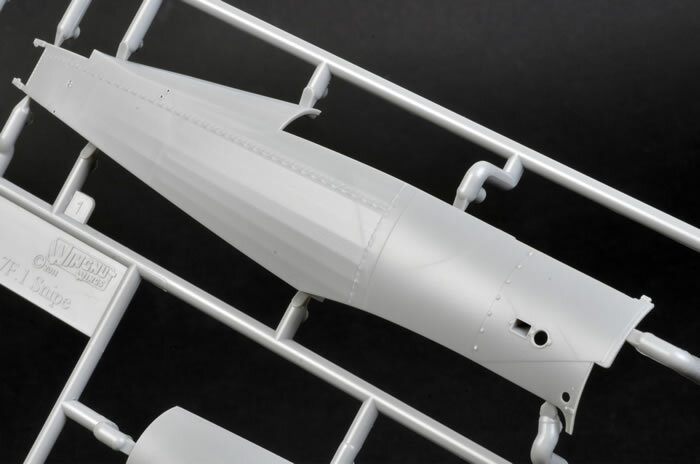 Cleverly engineered; outstanding representation of the surface detail; crisp clean mouldings; single piece wings with sharp trailing edges; comprehensive decal sheet in perfect register with minimal carrier film; inclusion of photo-etched parts; and an instruction booklet that doubles as reference material. The tradition continues with another quality release from Wingnut Wings. 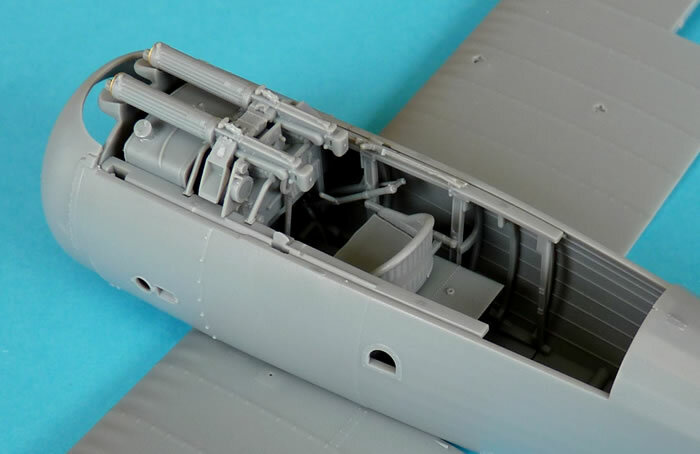 The aim of the company is to allow modellers of all skill levels to competently build WWI aircraft. As such, it has been designed for ease of assembly and it does so without compromising the high level of detail. The Sopwith Snipe only entered combat in the last few months of World War One. Despite its limited opportunities for glory, the type did show that it was an excellent performer. The initial prototype was quite different to what went into production. In its earliest form the Snipe was a single bay biplane with wings exhibiting only a small amount of dihedral. 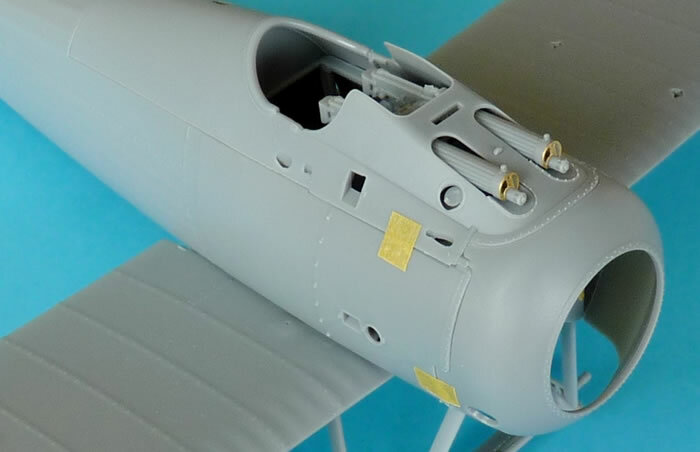 The deep fuselage was flat sided, and the tail unit appeared to come from a Sopwith Camel. Remarkably, the final design ended up having double bay wings, increased dihedral, elegantly faired fuselage sides, revised tailplane, and a new balanced rudder. All this was powered by a 230hp Bentley BR.2 engine. To increase manoeuvrability, later aircraft adopted larger balanced upper ailerons. The area of the fin and rudder was also increased. The Snipe soldiered on until it was officially declared obsolete in 1928 and ended up being the RAF’s last rotary engine fighter. 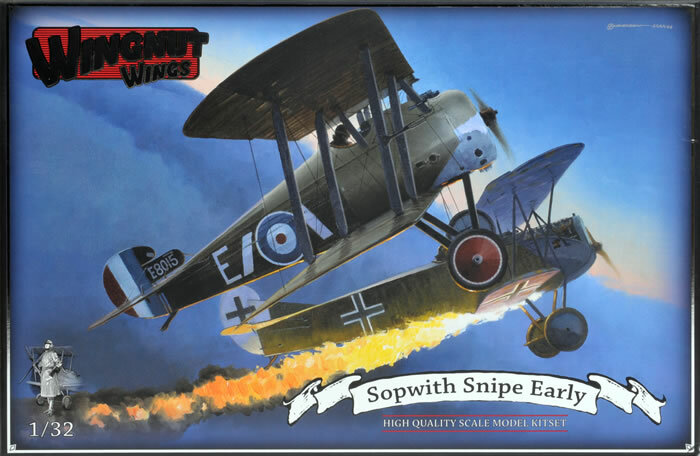 This kit represents the “early” version of the Sopwith Snipe. 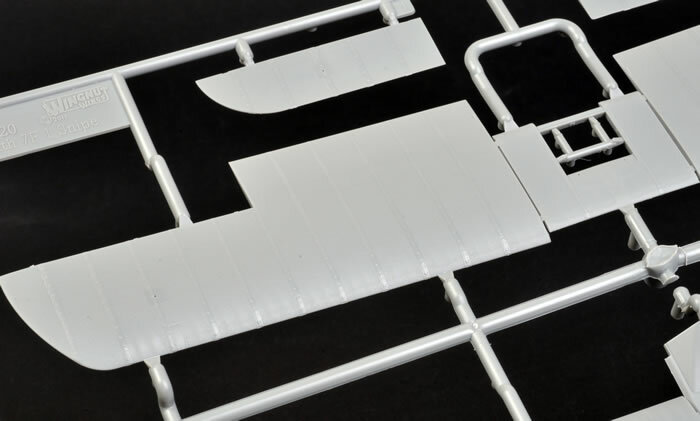 Inside are 8 sprues of plastic, 1 fret of photo-etched parts and a generous well printed decal sheet. The first thing one notices upon opening the box is the quality. We are already used to the high standards attained by this manufacturer but this release has raised the bar yet again. 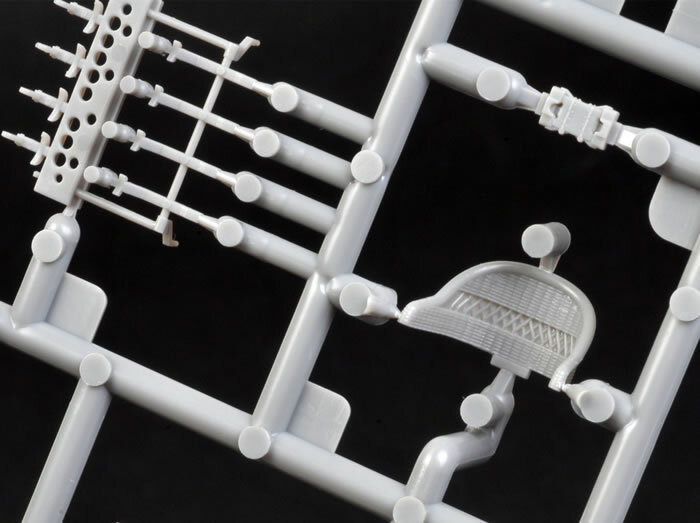 “Slide-mould” technology is clearly being used and this accounts for the superb rendering of the cockpit’s inner framework. These single piece items include segmented formers that are perpendicular to the longerons. It’s an amazing piece of engineering which allows this structure to be assembled quickly and easily. The other plastic parts are no less impressive. 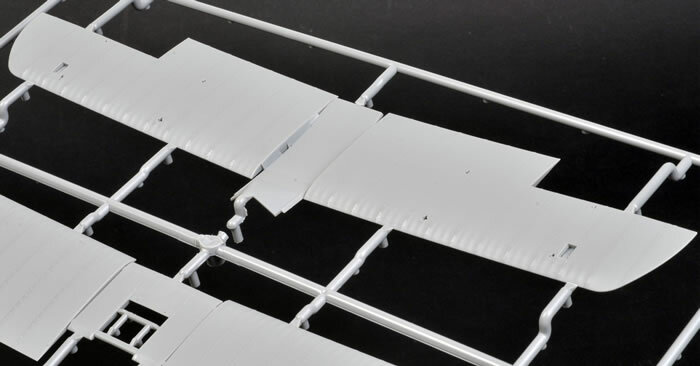 The sprue attachment points are as small as possible and have been placed in areas where they produce the least amount of pain during the clean-up process. 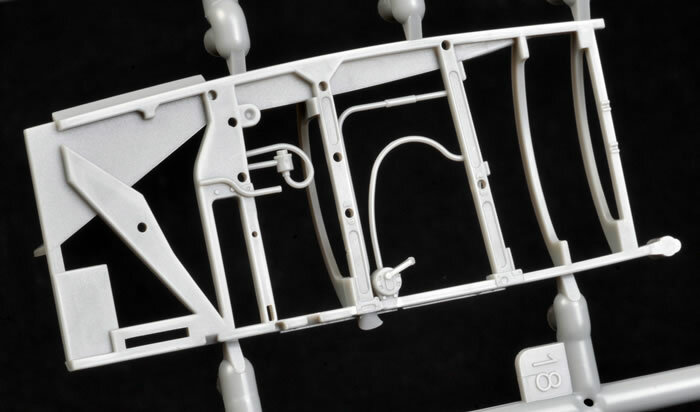 There were no blemishes on any of the parts, and ejection pin marks are cleverly hidden after final assembly. The only sink marks found on my example were minor depressions on the machine gun padding. It was a straightforward exercise to fill these without losing any detail. The busy pilot’s “office” is made up of no fewer than 24 parts. A quick dry-fitting of the main components reveals that everything fits perfectly. The hand operated air pressure pump and throttle/petrol tap both need a bit of manoeuvring to get them into their respective locations. It’s not hard to do but one must be a little careful not to break anything off in the process. The result is well worth the effort and kudos to WNW for their ingenuity. The wicker seat is a gem which is complimented by the photo-etched lap belts. Also supplied in this material is the 4-point Sutton harness for those wishing to use it in late production aircraft. The instrument panel is fitted out with decals to replicate the dial faces and placards. 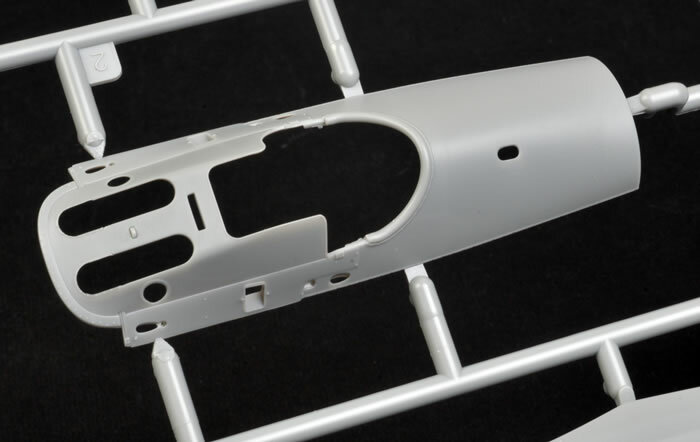 Usually the modeller has to trim the excess carrier film off the former items to get them to fit inside the bezel. Not so here as the carrier film is so close to the outline of the design that I found it unnecessary to trim it before application. They snuggle down perfectly using the MicroSet/Sol system and a drop of gloss varnish over the top is perfect to replicate the glass. A common problem with twin machine gun arrangements is trying to set them up in perfect alignment. The positive fit of the ammunition feed chute ensures that no such problem eventuates. The machine guns themselves then fit snuggly onto their mounts and a perfect result is guaranteed. 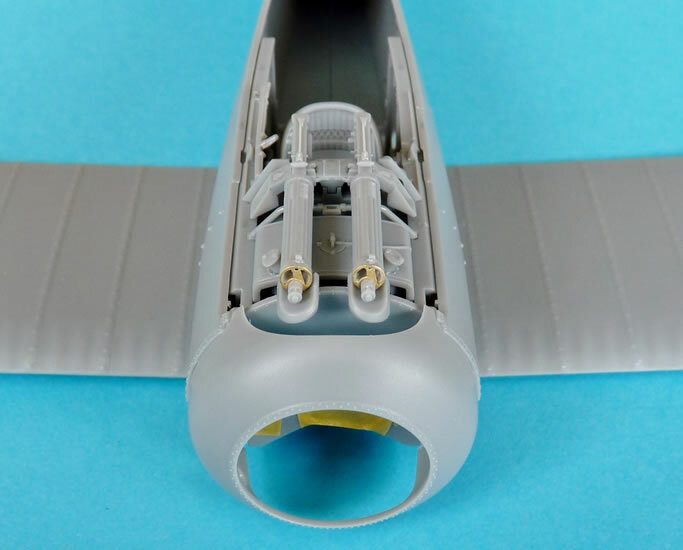 Before closing up the fuselage, bracing and control cables can be added. The instructions show you where everything should go but reference to the included reproduction Snipe photos will help clarify some of the terminations. 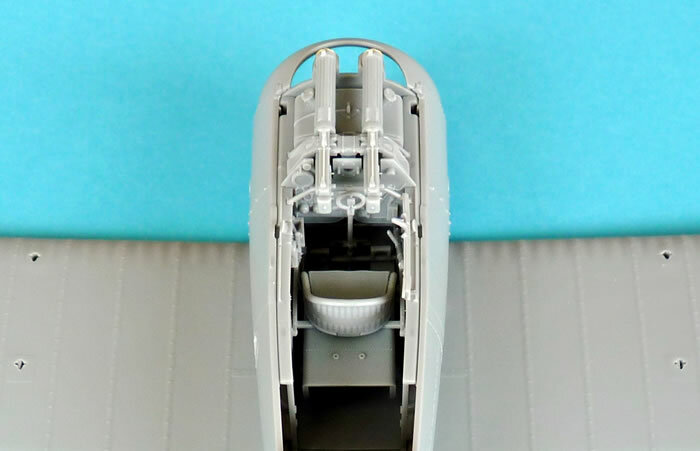 Everything fits snuggly between the fuselage halves, so if it doesn’t, scrape of any paint on the mating surfaces. Yes, the fit is that precise! 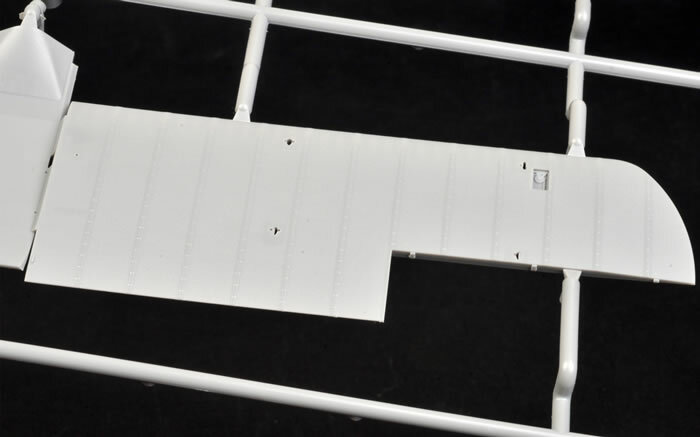 Don’t forget to paint the rear fuselage interior framework where the steel tube tail skid is located. 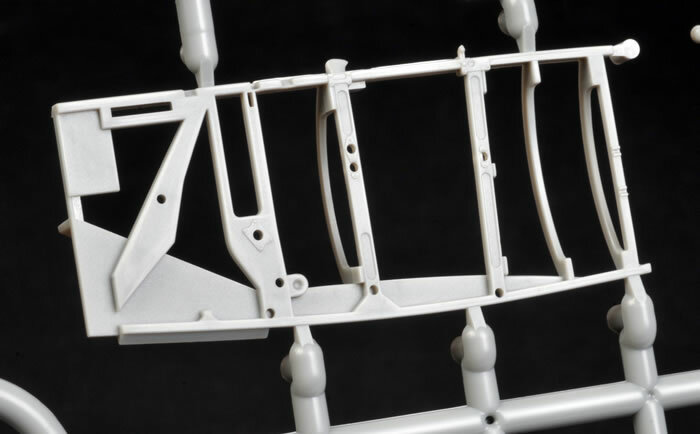 Included photos will similarly assist the modeller when attaching the wire bracing. 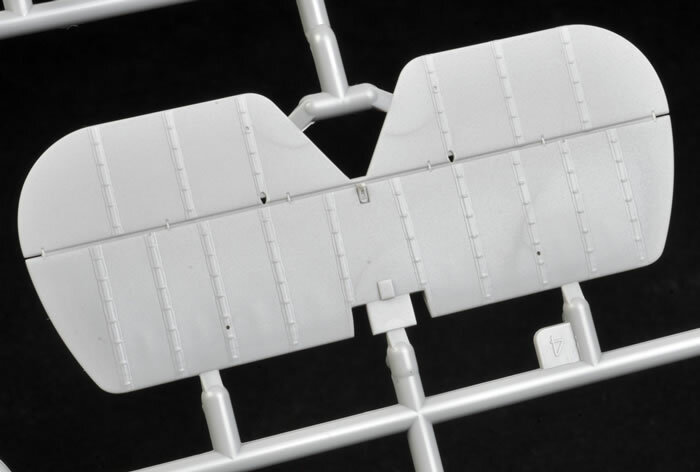 The flying surfaces are superb pieces of moulding. 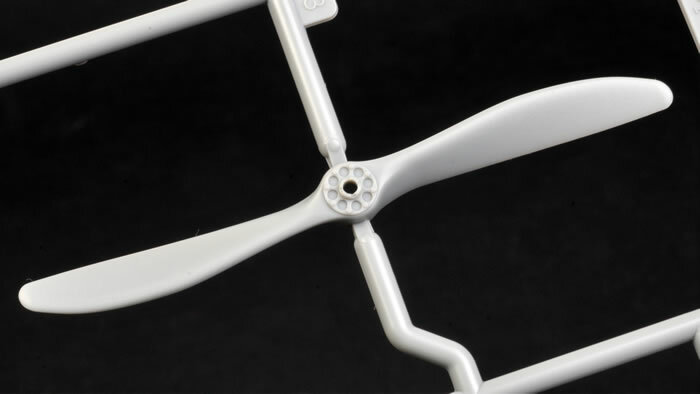 Upper and lower wings are single piece affairs, which eliminates any issues regarding setting the dihedral. The well-defined rib tapes exhibit a constant consistency and also display a subtle representation of the underlying stitching. 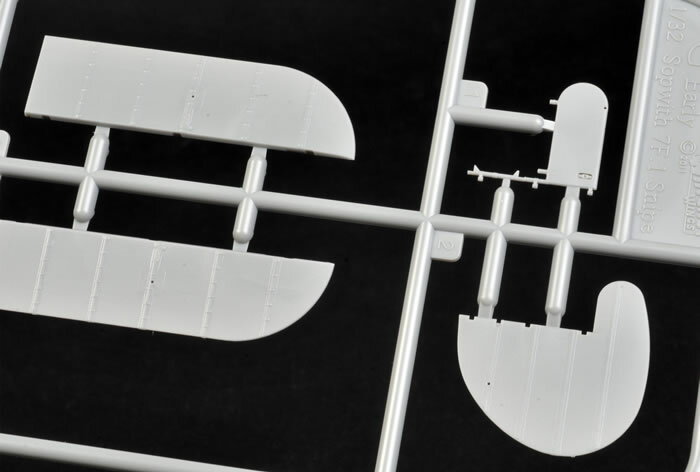 The ailerons are separate to allow you to animate your aircraft. Some pinning will be needed if you deviate from the neutral position as the contact area is quite limited. For rigidity, the elevators are sensibly moulded as part of the tailplane. The attachment points are small so it’s a simple enough matter to bend them to whatever angle you desire. 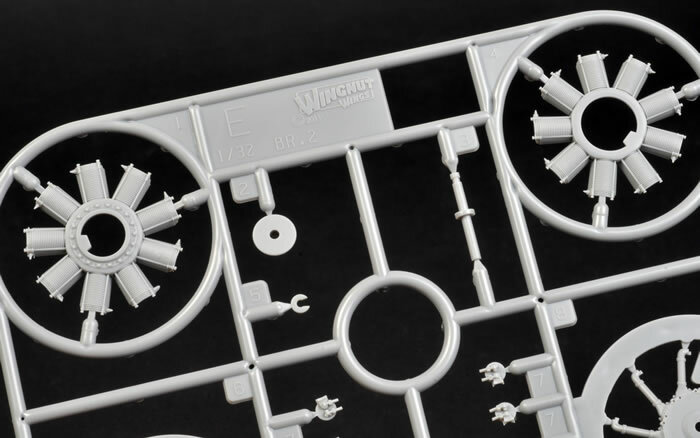 The kit comes with a very nice representation of the Bentley BR.2 engine. 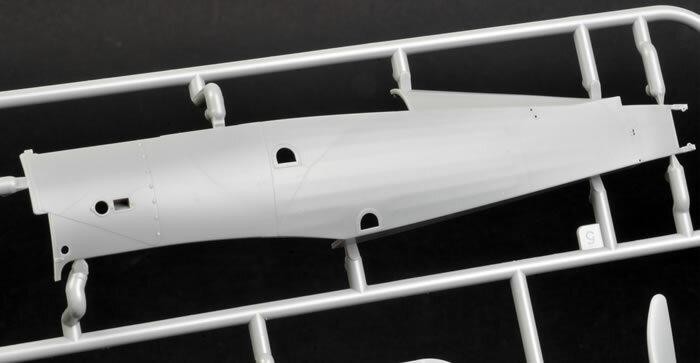 The cylinder halves fit perfectly so there are no headaches when it comes to cleaning up the delicate cooling fins. A diagram caters for the spark plug wiring and the whole assembly fits snuggly inside the cowling. Speaking of the cowling, this is another wonderful piece of engineering. Moulded as one piece, there is only the faintest of seams to eliminate. 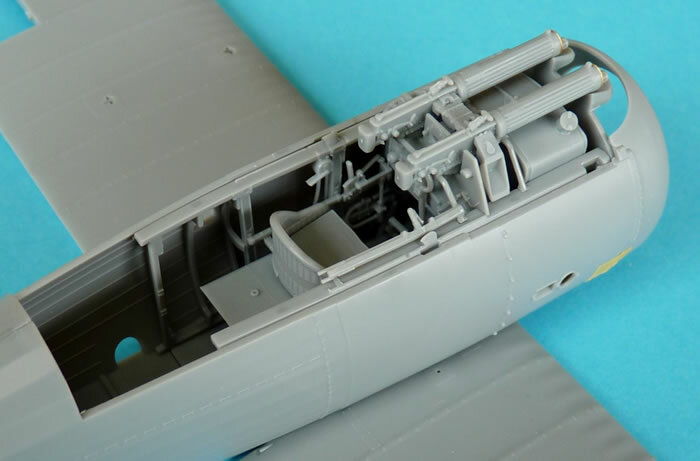 This, and the upper decking, fit perfectly to the fuselage assembly as a quick dry-fit will attest to. 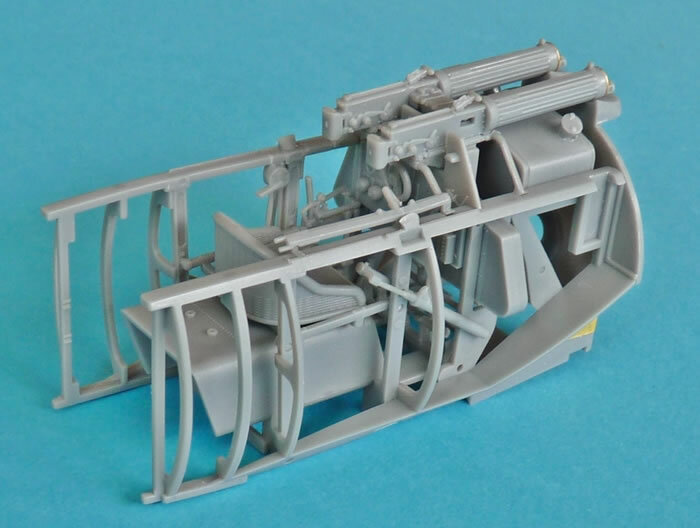 Struts and undercarriage legs can be the bane of any WWI aircraft model. That’s not the case with subjects from the WNW stable. These items are either keyed or have generous tabs to allow for errorfree alignment. 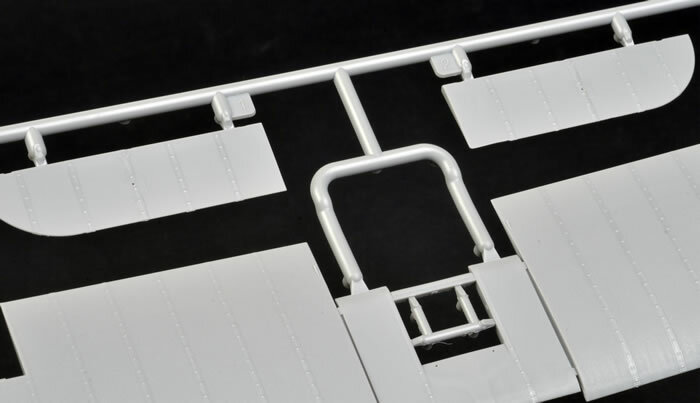 A number of optional extras are included in the kit. 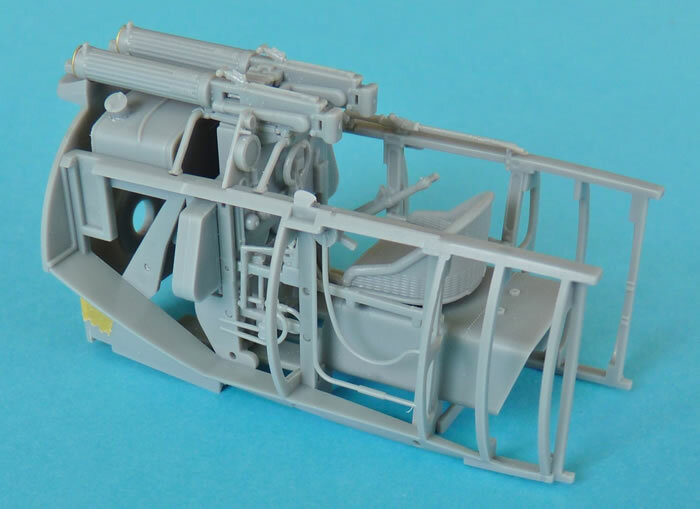 There’s an Aldis sight, as well as 4 Cooper bombs and associated fuselage rack. Two types of “wire” are needed to rig your Snipe. The instructions clearly indicate which ones are for control and which ones are of the RAF aerodynamic variety. Wingnut Wings sells an elastic “EZ line” that caters for each type and is the simplest way to complete the task. The decal sheet caters for 5 aircraft, each scheme sufficiently different to satisfy all tastes. Everything was printed with perfect colour registration and all items are surrounded by a minimum of carrier film. 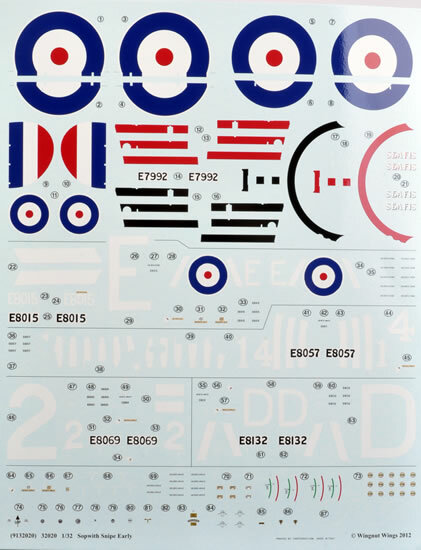 Not only do we get the national, unit, and personal markings of each aircraft, the modeller is also treated to a full complement of stencil data. This even includes the prominent printing on the rubber…courtesy of the Palmer Aero Tyre Company. Assumed to be finished in overall silver dope, E7992 came from the second production batch of 300 aircraft. The bands around the cowl are thought to be red, likewise the struts and undercarriage legs. 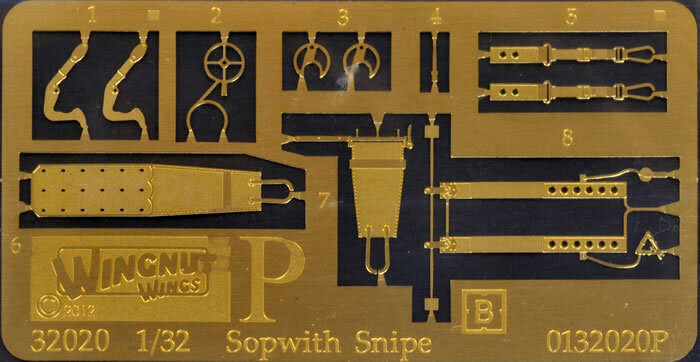 43 Sqn was the first to be fully equipped with the Snipe. Mulcair used E8015 to down a Fokker D.VII over Aulnoye on 30 October 1918. The aircraft survived the war but was written off on 31 May 1922. 70 Sqn didn’t get their Snipes until after the war when they inherited them from 4 AFC. The cowling stripes were seen on a number of their aircraft on occupation duties and the 3 white fuselage bands identify the Sqn. Thomas Charles Richmond Baker scored his 7th victory on this aircraft. It was an OOC (Out of Control) over a Fokker D.VII on 26 October 1918. His total score stood at 12 before he was shot down and killed less than a week before the armistice. This aircraft was written of when it crashed and injured its pilot CR Davidson in 1919. It wears the angled bars of 208 Sqn, and the letter “D” denoting an aircraft from A flight. This pugnacious Scout should have a lot of appeal to modellers. Not only did it wear combat markings during the closing months of WWI, it also saw post-war service in more flamboyant livery. 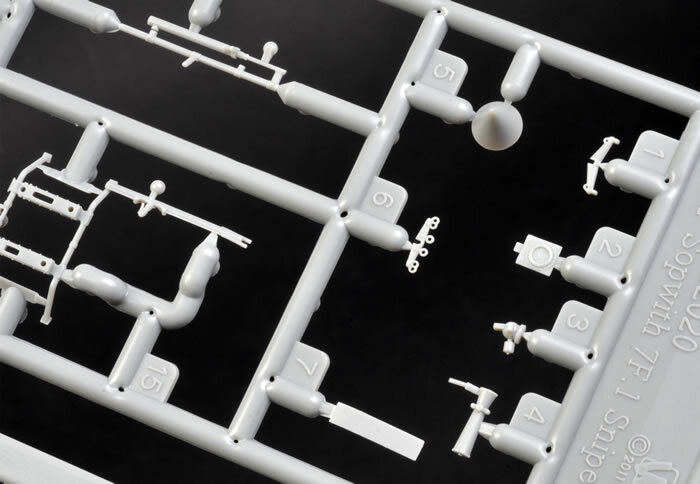 Taking advantage of the latest moulding techniques, we have a kit that raises the bar to a new level. 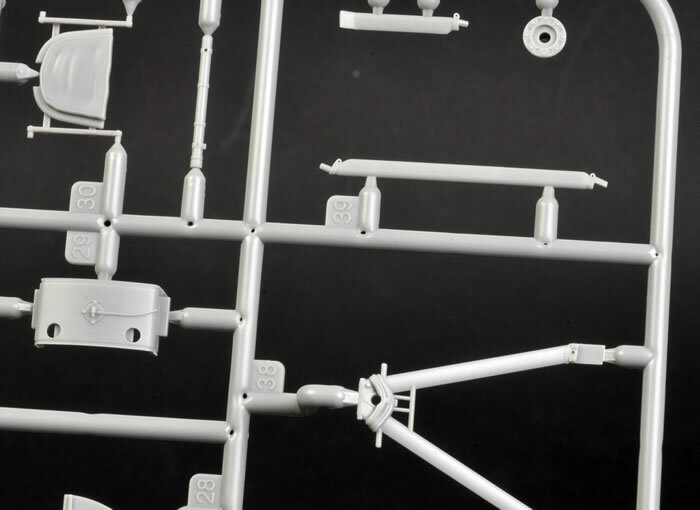 Structures that would normally require multiple parts are now being presented as a single piece. 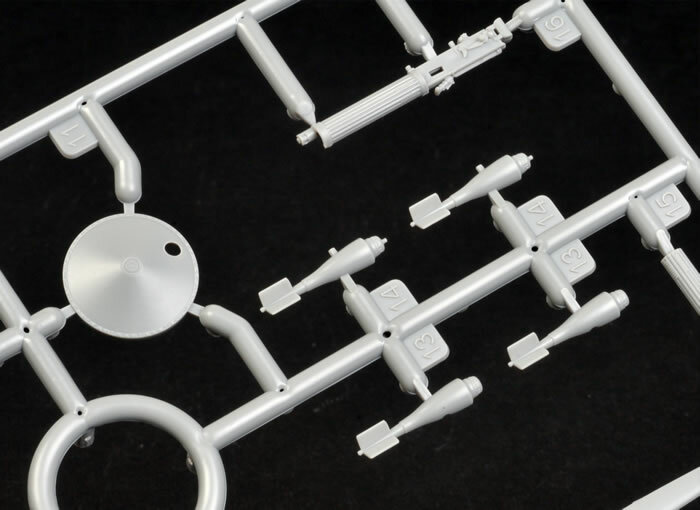 This makes assembly a lot easier and importantly the detail hasn’t been compromised. We still get the trademark instruction manual/reference booklet and the assurance that what is in the box is going to be the best kit of its type in any scale. Highly recommended for those with or without previous biplane experience.